ARTS ASSEMBLY :ACT 1 featured sound and music performances curated by Elisa Ferrari and John Brennan; Waters, Anybodys, JP Carter + Peggy Lee, Crotch and DJ Sets by Minimal Violence and Nancy Dru. Dance Performances by Alexa Mardon + Erika and Mitsuashi, Emmalena Fredriksson + Arash Khakpour. We'd like to thank our sponsors for their generous raffle prizes; Big Joy Barber & Salon, Evann Siebens, Priory, Herschel, The Lab, Pazzo Chow, JJ Bean, and The Dirty Apron. The duo, minimal violence, made up of Ashlee Luk and Lida P have been producing gritty lofi house and techno since forming in late 2014. Following up their debut cassette release with Vancouver based all female collective Genero they have just launched their first 12" with Dublin based First Second Label with more releases scheduled this year. The couple cites diverse influences spanning from Chicago house to minimal synth to the intersections of punk and techno. The duo's recorded workflow leans heavily on the instinctual nature of hardware and that of live performance..."
Nancy Dru crafts danceable sets with some less predictable twists and turns. 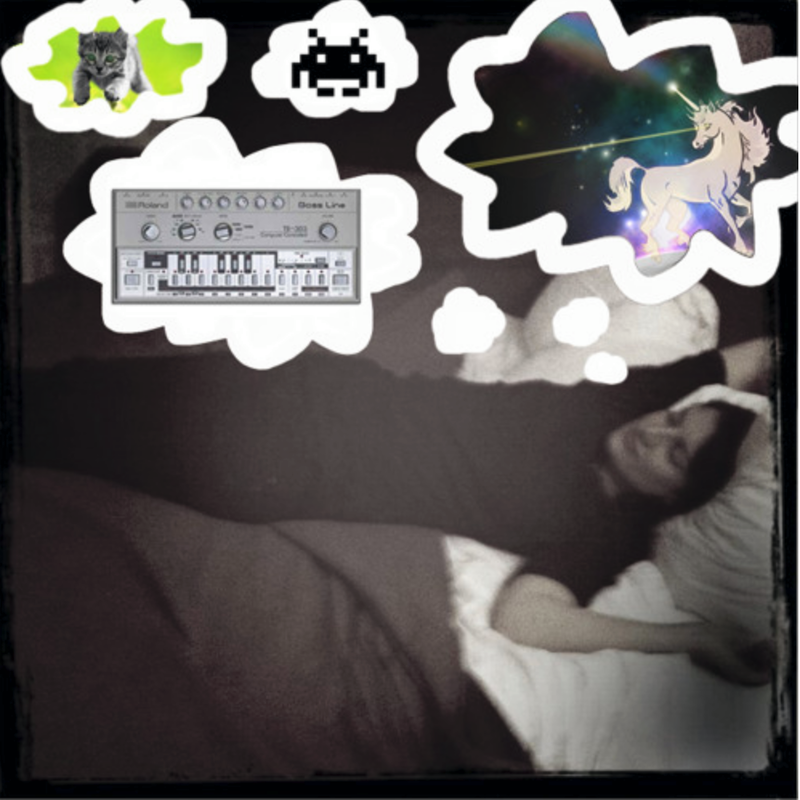 As well, she plays various underground parties in Vancouver, deep & dark techno sounds that appeal to the brain as well as the body. Instantly one of our favourite bands to see live in Vancouver. JP Carter is a Juno award-winning musician from Vancouver, Canada. Carter’s singular approach to the trumpet and versatility as an improvisor and composer make him a vital contributor to the Vancouver music community. JP incorporates a variety of techniques into his trumpet playing, utilizing and experimenting with acoustic (traditional, extended) and electronic (effected, amplified) methods to create a wide spectrum of sound. Currently a member of several Vancouver-based groups, including Destroyer, Dan Mangan, Fond of Tigers, the Tony Wilson 6tet, Handmade Blade (with Peggy Lee & Aram Bajakian), Gordon Grdina’s Haram, Michael Blake’s Variety Hour, and the various New Orchestra Workshop ensembles. JP’s main projects as a composer/performer continue to be Inhabitants, Aeroplane Trio, and Carsick. These three long-standing original projects have all released albums on Vancouver’s Drip Audio label [dripaudio.com]. Most recently, JP has been working on a solo amplified trumpet project. He will be releasing a self-produced document of this solo work in 2017 entitled “Toy & Tool”. JP Carter improvised with Peggy Lee during this event. Peggy is a composer, improviser and cellist living in Vancouver. Her first forays into improvisation in Vancouver happened with dancers at the EDAM (experimental dance and music) studio at the Western Front and eventually led to her meeting and joining guitarists Ron Samworth and Tony Wilson in their respective bands; as well as becoming a member of the New Orchestra Workshop, which went on to have interesting and fruitful collaborations with Butch Morris, Wadada Leo Smith, René Lussier, Barry Guy and George Lewis. Peggy Lee improvised with JP Carter during this event. Crotch - Duo from Vancouver now residing in Nanaimo have been unpredictable since 2013. Mixing noise, no wave, spoken word, punk and freak jazz, Jeremy Van Wyck and Izzy Ford from Shearing Pinx always bring something fresh to each performance. Born in Sweden, Emmalena Fredriksson received her training at Balettakademien in Umeå and at SEAD (Salzburg Experimental Academy of Dance) in Austria. She holds an MFA degree from Simon Fraser University and has presented choreographic work, performed and taught internationally with Daghdha Dance Company (IE), Pact Zollverein (DE) and Falmouth University (UK) among others. Based in Vancouver, Canada since 2013 her work has been presented in Dance in Vancouver’s Choreography Walk curated by Justine A. Chambers, The Dance Centre’s Discover Dance Series and at the Audain Gallery. Emmalena regularly teaches at Simon Fraser University, Modus Operandi, Harbour Dance Centre and Training Society of Vancouver. Continuing her research into choreography as a relational practice in the expanded fields of dance, upcoming work includes a new collaboration with New Media Artist Nancy Lee and the realization of a virtual reality dance film through a DanceLab Residency with the Dance Centre. At this event Emmalena Fredriksson performed with Arash Khakpour. Originally from Tehran, Arash Khakpour is a Canadian dancer, choreographer and instructor living in Vancouver since 2004. Arash is privileged to be a dance artist on the unceded Coast Salish territory. He is a graduate of Out Innerspace’s Modus Operandi training program and has completed Cultch’s Youth Mentorship program as well as the contact improvisation scholarship at EDAM under the direction of Peter Bingham. Arash had the privilege of working with Wen Wei Dance, Out Innerspace Dance Theatre, Kinesis Dance, Company 605, Constance Cooke (Victoria) and David McIntosh (Battery Opera) among many others. As an instructor, Arash has taught in numerous studios in BC. Arash has also taught workshops with Paras Terezakis (Director of Kinesis Dance) in Copenhagen, Denmark (2012) and Chambery, France (2013/2014). Arash is the co- founder of The Biting School alongside his brother Aryo Khakpour as well as the founder and co-host of a Canadian performance history podcast called ‘How About A Time Machine’. Arash’s desire is to see whether theatre can be a place, where the body investigates the alternate ways of being. He is interested in dance as the language in the theatre, which allows him to research about human conditions and human nature through historical, social, political and existential interpretations. At this event Arash Khakpour performed with Emmalena Fredriksson. 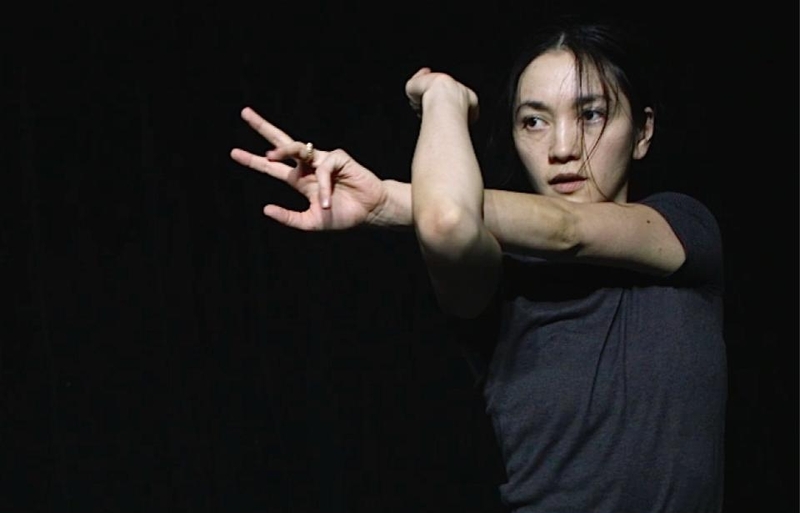 Erika Mitsuhashi is a dance and performance artist based out of Vancouver, British Columbia. She studied at Simon Fraser University School for the Contemporary Arts receiving a BFA (hons) in dance. Erika has interpreted the work of Justine A. Chambers, Robert Kitsos, Vanessa Goodman, Judith Garay, Katie DeVries and Daisy Thompson in festivals and platforms such as International Dance Day hosted by The Dance Center, Dance Allsorts, Dancing on the Edge, The Interplay Project, Vancouver International Dance Festival and Simon Fraser University masters showcase. As a choreographer, she has had her work presented locally and nationally by the Powell Street Festival, Toronto’s PS:We are All Here, Surrey Art Gallery’s InFlux, Shooting Gallery Performance Series and New Works's annual Season Launch. At this event Erika Mitsuhasi and Alexa Solveig Mardon performed together. Alexa Solveig Mardon is a dance artist living and working on the unceded territories of the Sḵwx̱wú7mesh, Musqueam and Tsleil-Waututh Nations. Alexa’s practice spans movement, writing, facilitation, and community action. As a performer, Alexa has interpreted for choreographers and companies including Deanna Peters, Sasha Kleinplatz, Benjamin Kamino, Action at a Distance, Chick Snipper, Rob Kitsos, the response., Emmalena Fredriksson, and Katie Devries. Alexa’s writing has been published by ISSUE Magazine, Line, Room Magazine, The Dance Centre, and The Dance Current. Alexa is currently the recipient of a BC Arts Council mentorship grant with battery opera artistic director, Lee Su-Feh. Alexa works collaboratively to investigate expanded notions of dance. Current collaborations include projects with Justine A. Chambers and Peter Dickinson, and Raha Behnam. Alongside Erika Mitsuhashi, Alexa works collaboratively as Mardon + Mitsuhashi. At this event Alexa Solveig Mardon and Erika Mitsuhasi performed together.